If I were to sum up in two sentences my experience with delusion-filled murder mystery visual novel Chaos;Child, it’d be these: 1) If I’d known how incredibly long Chaos;Child was, I’d never have played it and 2) I’m so happy that I played Chaos;Child. Chaos;Child is one of the games in the Science Adventure Series (like Steins;Gate and its own thematic predecessor Chaos;Head). Taking place in Shibuya in 2015, it follows a group of high schoolers who are all survivors of an earthquake that six years ago killed thousands and nearly leveled Shibuya. You play as Takuru, a senior in high school and president of the newspaper club. When two bizarre murders happen in Shibuya, Takuru is the first to notice the potential pattern: the killing dates match up with those of a serial killer from six years before—i.e., the events of the previous title, Chaos;Head. This knowledge allows him to make it to the next crime scene before the police are able to cordon it off. There he and his constant companion Serika come face-to-face with the most recently murdered victim, and find themselves terrorized by the still-present killer. While they make it out alive, Takuru and Serika now find themselves at the center of the mystery, racing to figure out the killer’s identity before the next killing date. One of the most compelling features of the game is the murders themselves. They are equal parts disturbing and intriguing, so it’s easy to see why Takuru is so interested in them. The first case is of a man who, while livestreaming, chops off and eats his own hand without realizing it before bleeding out. The next is an up-and-coming singer who places a speaker inside her abdomen and plays a street concert as she dies. As the story continues, the murders in turn become more and more bizarre, and it’s obvious the police are out of their depth. It soon becomes clear to Takuru and his gang that something supernatural is going on, and they could very well be among the possible targets. In Chaos;Head the main characters had the ability to alter and twist reality. Many of the characters in Chaos;Child have a lesser form of the ability—namely, each has only a single superpower. One of the main cast can tell a lie from the truth with perfect accuracy. Another character has pyrokinesis. And the villain seems to be able to use some type of mind powers on his/her victims. Watching Takuru and the others try to outthink the powers of those they face and use the powers they have to the fullest is one of the best parts of the game. The characters are another of the many strong aspects of Chaos;Child. Takuru believes knowledge is power, and is more than a little arrogant because of that. Constantly as his side is Serika, his childhood friend from even before the quake killed his family. She is both innocent and loyal to the extreme, always ready to follow Takuru into any situation. The other main female in Takuru’s life is his foster sister Nono, a bit of a bossy busybody who values her foster family above anybody else. The relationship between the three of them is one of the main driving forces of the story: Serika encourages his adventurous side while Nono urges him to be more cautious. Needless to say they prove to be the main heroines and romantic leads of the game. The rest of the newspaper club includes Hana, a girl who speaks only in non-verbal grunts and simply uses the club’s computer to play Everquest; and Shinji, a hyperactive guy and the main source of comic relief. Over the course of the story, they are joined by Hinae, an eyewitness to one of the crimes; and Uki, a young girl who has spent the last few years isolated from the modern world. The final character of the main cast is Mio, an incredibly intelligent misanthrope who not only knows about the superpowers but also studies them in depth. Rather than being a character caught up in what’s going on, she is instead one who is sent in to help the police—and by the characters of Steins;Gate, to boot. She is a walking connection to the overall plot of the Science Adventure Series. Her existence teaches us several important things—that the series’ villains, the Committee of 300, are somehow involved and that the characters of Steins;Gate continue to fight them. 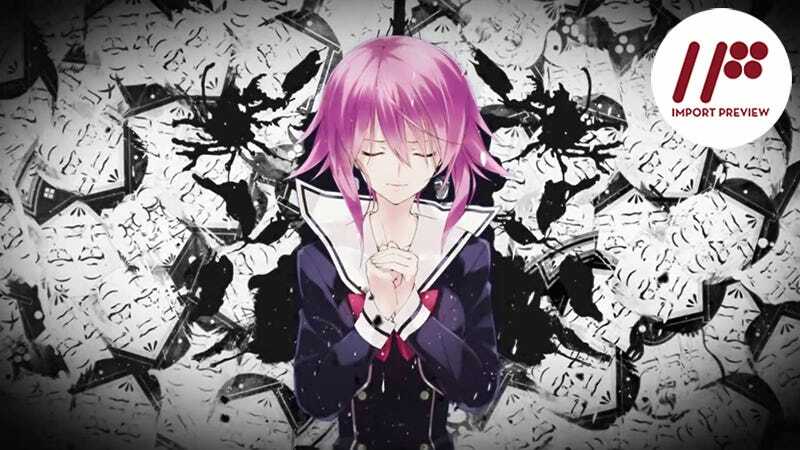 This is all the more interesting when you come to realize that, with the exception of a single supporting character, the characters of Chaos;Head are absent from the main route of the Chaos;Child story, despite the fact that someone is performing copycat killings of those committed by Chaos;Head’s villain. Another thing Chaos;Child does well is focus its story. The first time through the game you are locked into the main narrative, discovering the serial killer and resolving Takuru’s relationships with Nono and Serika. In this version of the story, all the characters play a part, but deep personal motivations and secret truths are left unrevealed. Once you beat the game the first time, several other routes open up—branching off from the main story at various points. How you get to see these other versions of the story is based on Takuru’s delusions. Throughout the game you are faced with three possible choices again and again: 1) Keep Takuru grounded in reality; 2) allow Takuru to see a positive delusion—a comical or perverted daydream; or 3) send him down the path of a negative delusion—a waking nightmare that ranges from the gory to the psychologically terrifying. These delusions alter how he views the world and who he trusts, which in turn leads to the different endings. Each of these routes center on a different member of the supporting cast. However, while some are relatively down to earth in the stories they tell, others are so over the top, they would forever alter the world of the Science Adventure Series if they were canon. It’s nice to see the creators go all in on these alternate tellings of the story, even if the results fly headlong into the ridiculous. What’s best about these alternate stories is that the characters and their motivations remain constant—especially those of the serial killer. While most don’t deal with the killer directly, the killer stays true to his/her goal even though the means to that goal changes in most routes. It makes the whole game feel like a consistent whole with consistent characters. Chaos;Child is an excellent visual novel from top to bottom. It’s got a thrilling mystery and deep, layered characters; and it’s a great addition to the Science Adventure Series. If it has one potential flaw, it is its length: it took me over 70 hours to master it. But if you’re looking for a meaty visual novel and can speak Japanese, this should be on the top of your list. And if you can’t, it’s a good thing the anime version is set to premiere later this year. Chaos;Child was released in Japan for the Xbox One on December 18, 2014, and for the PlayStation 4 and PlayStation Vita on June 25, 2015. There is no word on a Western release.